Microsoft has consistently pumped out some of the best Windows tablets and 2-in-1 laptops over the years with its Surface lineup. But, back in October 2018, when the Surface Pro 6 launched, there were relatively few changes over the 2017 model. So, we started wondering when we could expect more impactful improvements to the Surface Pro formula. Enter the Surface Pro 7: we’re starting to see all kinds of patents for the new Surface Pro coming out of the woodwork that may just change how we use Microsoft’s tablets. For instance, there’s a new USB-C magnetic Surface charger, which we really hope comes to fruition. Couple that with Intel’s new Ice Lake processors that should launch sometime this year, that is if Microsoft doesn’t pack it with new ARM processors, and the Surface Pro 7 may end up being the most powerful yet. However, because nothing has been confirmed, you should keep in mind that this is all informed speculation. Still, we’ll definitely update this article with any new information that surfaces. What will it cost? Probably around $899 (£879, AU$1,349) to start. Because the Surface Pro 6 essentially just came out, it’s unlikely that we’ll see the next one any time soon in 2019 much less this year at all. The Surface Pro 4 and Surface Pro 6 both launched in October 2015 and 2018, respectively. However, the Surface Pro 2017 saw a June release date. It’s possible that the Surface Pro 7 will launch in October 2019, but the release cadence for Surface Pro devices appears to be approximately every 16 to 18 months. So, we might see the Surface Pro 7 until Spring or Summer 2020. We could see it hit the streets in October, if Microsoft wants to target that annualized release, but we’ll believe that when we see it. Don’t worry, though, we’ll update this article just as soon as we hear any word – official or otherwise – on the Microsoft Surface Pro 7 release date. The Surface Pro 6 launched at $899 (£879, AU$1,349) for the base model, but that marked an increase in price over the Surface Pro 2017, the base model of which was $799 (£799, AU$1,199). So, the pricing of the Surface Pro 7 could go one of two ways: another increase of $100, or it may just stay the same price – we doubt the price will drop again, though. If the price does go up by another $100, and start at $999 (about £770, AU$1,380), it’ll put the Surface Pro 7 in the same league as devices like the Dell XPS 13 and the HP Spectre x360 – not to mention the new iPad Pro. Much like anything else here, we won’t know the actual pricing of the Surface Pro 7 until Microsoft is ready to share it. But, we’ll update this article as soon as that happens. Because the Surface Pro 7 is so far out right now, it’s hard to predict what exactly will be in the next Surface device. 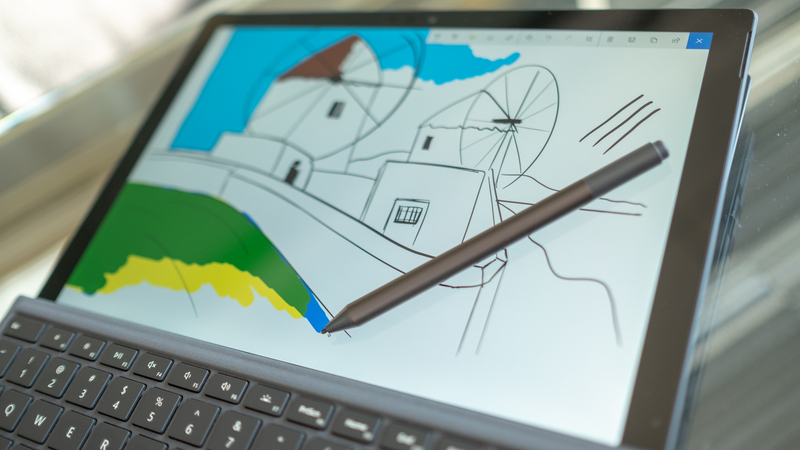 However, with all the patents that Microsoft has filed recently, like a update to the Surface Pen that would make it more accurate, we have come up with a wishlist of updates we’d like to see. Back at CES 2019, Intel announced Ice Lake, the first 10nm Sunny Cove architecture for laptops. And, while we don’t have any kind of details about these processors or how they’ll perform, the smaller manufacturing process will inevitably lead to better performance and efficiency. 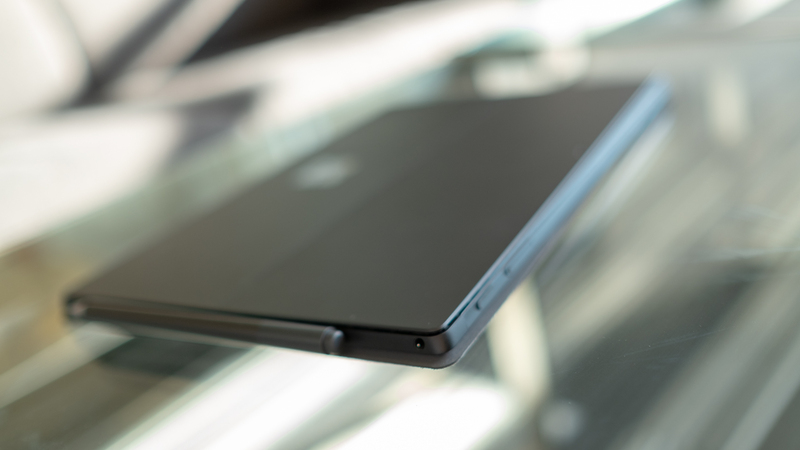 However, we’ve seen some rumors that Qualcomm Snapdragon-equipped Surface devices are “floating around”. 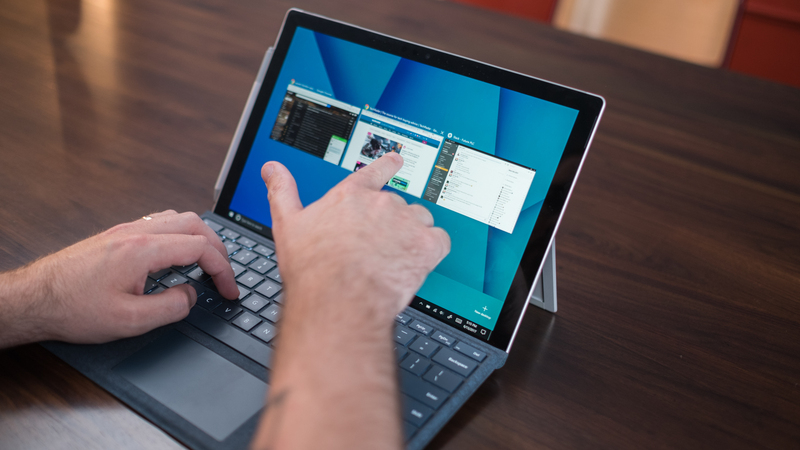 It’s unlikely that the top-end Surface Pro 7 would use an ARM processor like this, as there would be problems with software emulation of x86 apps. However, we could see an entry-level Surface device using these ARM chips. If the Surface Pro 7 includes these new processors, you can expect much greater performance, while also getting improved battery life across the board. Microsoft, for obvious reasons not worth getting into here, has been hesitant to implement Thunderbolt 3 into its Surface Products. And, while this was excusable in the early days, it’s getting harder to ignore with each Surface release. Luckily, we have reason to believe that Microsoft will launch the Surface Pro 7 with Thunderbolt 3 support, or at the very least basic USB-C charging. Microsoft has patented a new magnetic charger with a USB-C input that would function like the current Surface charger. We’re truly not sure whether Surface Pro 7 will support Thunderbolt 3, as it depends upon Microsoft’s willingness to trade its proprietary technology for Thunderbolt 3, which it must pay Intel to license. 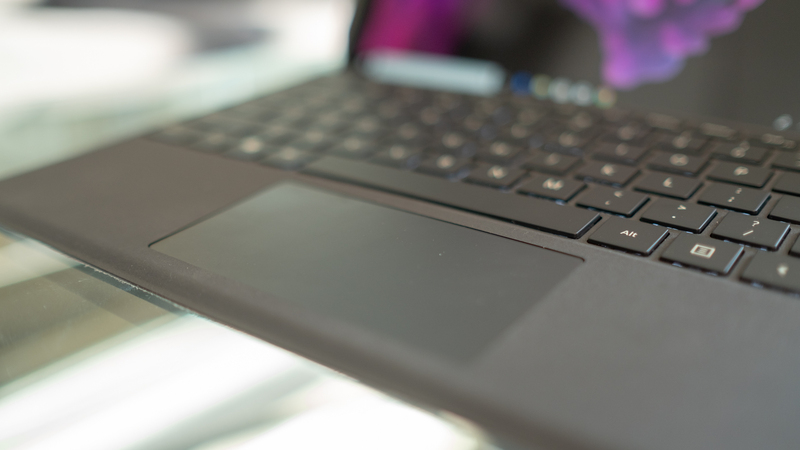 The Surface Pro 6’s Type Cover is already one of the best tablet keyboard accessories out there. It’s responsive, has plenty of feedback, and is made of pleasant materials. But, we haven’t seen any marked improvements to its since the Surface Pro 2017. We don’t think there’s any such thing as a perfect product, so we can’t wait to see how Microsoft improves on the formula next. And, we might have an idea of the next generation Type Cover will look like. Microsoft has patented a thinner Type Cover that should reduce the footprint of the device all around. It looks like Microsoft is planning on doing this by using a trackpad that’s built right into the printed circuit board. It would also use haptic feedback in the keys, to improve the tactile response of typing – which would be necessary on a thinner keyboard cover. It’s a bizarre move, but we’re nonetheless intrigued – if Microsoft can make the Type Cover slimmer without falling in the same trap as Apple’s Butterfly keyboards, it could change the game. We’ve also seen a patent that would make the fabric covering the Type Cover smarter. It would feature touch sensitivity, so you could swipe through news stories and photos without having to find the touchpad or the touchscreen. We’re not sure who was asking for this tech, but it’s a cool idea nonetheless.